HONOLULU – The Department of Business, Economic Development and Tourism’s (DBEDT) Creative Industries Division (CID) applauds Creative Lab Hawaii (CLH) Program Mobile Game App fellows, Tracy Davidson (Kauai) and Stacey Hayashi (Oahu), for being selected by their mentors to participate in this year’s Game Developers Conference (GDC) held at the Moscone Center in San Francisco, March 1 to 3, 2017. CLH establishes a pipeline of talent development from training and development to workforce in the creative industries. CLH is designed to accelerate the growth of Hawaii’s creative products for global export, providing access for entrepreneurs to industry decision-makers through immersive mentoring in a year-round program, as well as weekend boot camps. Launched in 2013 as a key facet of DBEDT’s HI Growth Initiative, CLH focuses on intellectual property creation in media including Screenwriting, Producing, Broadband/New Media, Interactive Media, Animation, Music and Design/Fashion. Strategic partners include: the International Game Developers Association (IGDA), the Writers Guild of America, West (WGAw), and the Producers Guild of America (PGA). CLH program is sponsored by The Modern Honolulu and SpeediShuttle. Partners include Honolulu Fashion Week, Hawaii International Film Festival, Hawaii Songwriters Festival and more to come in 2017. Tracy Davidson is an entrepreneur, publisher, and the chief executive officer of “Tracy’s Map.” Her Kauai-based business provides custom, promotional maps for the Hawaiian Islands. Tracy’s Map is expanding into the mobile space with two apps. The first allows users to explore Hawaii — discovering fun destinations and helpful businesses across the islands. The second app is an adventure game in the early stages of development. It will turn the legendary characters of Hawaii into friends and foes as the player journeys through fantasy and real locations. 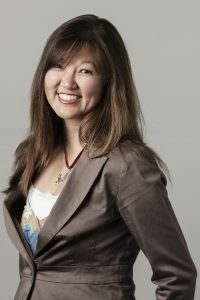 Stacey Hayashi is a media maker, author and entrepreneur based in Oahu. Stacey Hayashi is a media maker, author and entrepreneur based in Oahu. 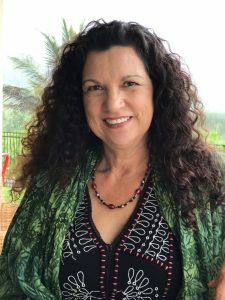 A former software engineer, Stacey was one of the earliest pioneers in the development of internet-based businesses focused on the manufacturing and distribution of Hawaiian products. Her interest in Japanese-American and Hawaii culture led to the development of a multimedia project celebrating the heroism and cultural significance of the 100th Battalion, 442nd Regimental Combat Team, and members of the Military Intelligence Service. Her mobile game app, titled “Journey of Heroes,” is an educational app created for middle-school students, their families and teachers, to educate them about WWII through the eyes of a Japanese American. She recently wrapped principal photography on, “Go For Broke,” the 100th/442/MIS origins film project for the 442nd RCT Foundation, on which she served as screenwriter and executive producer. Weekend Ideation Program in Motion Picture Financing (Oahu) – March 18 & 19, 2017. Deadline for both Weekend Ideation Programs is – March 3, 2017. Web-Series Immersive (June 5 – June 9, 2017) and one year of mentoring. Animation Immersive (June 12 – June 16, 2017) and one year of mentoring. For additional information on registration and submission guidelines visit www.creativelab.hawaii.gov or email creativelab808@gmail.com.